Site Brand It offers superior-quality Joomla solutions. New customers are offered an automated Joomla script installation directly at signup. Current shared web hosting account holders can install Joomla with a single mouse click. With Site Brand It, you can get a Joomla hosting account along with a brand new domain for just $2.91 a month. 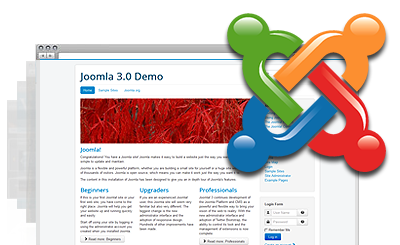 Joomla™ is a registered trademark of Open Source Matters and shares no affiliation with Site Brand It. Build a Joomla-driven site very quickly with Site Brand It! Site Brand It covers all requirements for hosting Joomla-based sites. Site Brand It offers an exceptional client support service.